Wind can slow or stall exhaust fans, seriously effecting barn ventilation rates. This wind pressure problem can be especially severe in winter months when small or variable speed fans are operating at low speed. Osborne’s AGRI-AIDE Wind Diverters greatly reduce wind pressure without interfering significantly with the exhaust rate in still air. The venturi effect, created by wind accelerating past the wind diverter, actually assists the exhaust fan.The on-coming wind stream accelerates around the Wind Diverter, sweeping exhaust air with it. 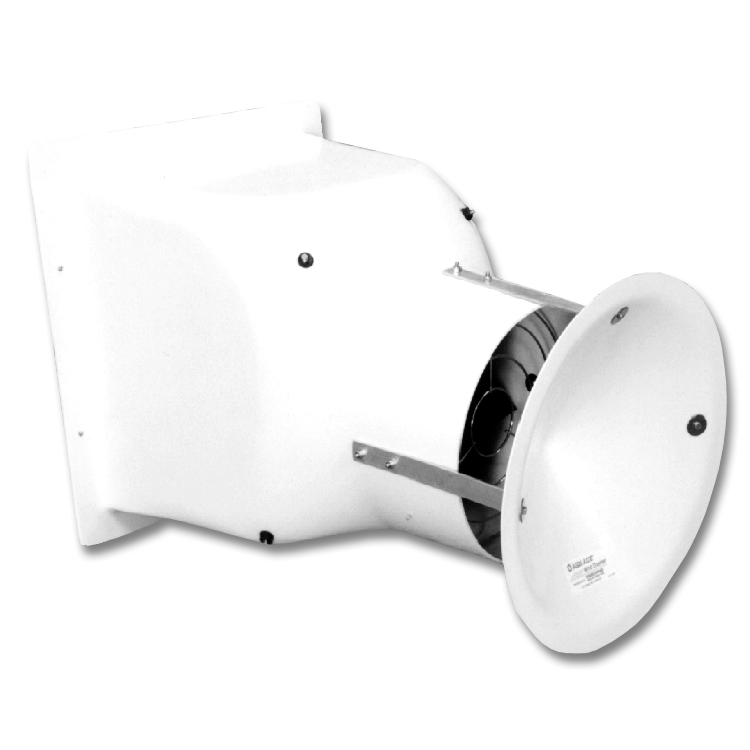 Osborne Wind Diverters are available in a number of sizes, perfect for matching sizes to new or existing fans. 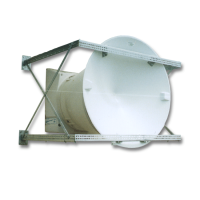 Contact Osborne for detailed specifications and measurements.